Home News Interview: Let’s organise a Brainhack! Why did you decide to participate in the organization of Brainhack Rennes? What does organising a Brainhack entail? What is the most interesting thing you have learned/accomplished at Brainhack Rennes? 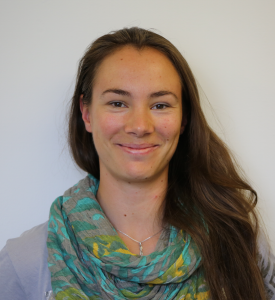 Claire Cury (@CuryClaire) is a postdoctoral research fellow at Inria in the VisAGeS team. Her research interests are in shape analysis and EEG signal processing and their applications in hippocampal anatomy, dementia and neuro-feedback. Claire was part of the organizing team of Brainhack Global Rennes 2018. During the event, she co-led a project on EEG neurofeedback. I interviewed Claire to learn more about her experience being an organizer for Brainhack Global Rennes 2018. Brainhack is not a typical conference where you sit, listen to other and then present your work. The main part of a Brainhack is the hacking, when everyone is working together on projects proposed by the participants. Everyone can suggest a project, and during the hacking sessions, projects can merge, because they are similar, or maybe because they need each other to progress. The hacking period is an opportunity for all to learn from others about technics, languages, datasets, etc. There are also 2 other components in a Brainhack, unconferences and invited talks. Unconferences are really unusual: if you want to speak about something, or present a tool or some results, or share your experience, you just sign up on the blackboard! When it’s your turn, you will have 5 min, with or without slides, to present your chosen topic. I am interested in open science and I like organising events, so I decided to be involved in the organisation of this Brainhack edition in Rennes. Before starting I didn’t know what a Brainhack was. I only knew that it wasn’t a regular workshop and that it would focus on data sharing and open science. To organise this Brainhack, I participated in the creation of our website. We tried to make it as attractive as possible, and to choose the best words to convey what is a brainhack so that we could convince more people to join! I also invited Roberto Toro to give a talk about open neuroscience. We had several meetings with the core organizing team and met with different departments from Inria: to book and arrange the rooms, record the speakers during the event (videos are now online on our website), and to advertise the event inside and outside the institute. In the end, I was happy to see participants coming all the way from Nantes, Caen, Paris and even Toulouse! I really appreciated working with different departments from Inria, this was a good experience, and they helped us a lot at each step of the organisation. I learned the importance of sharing codes and data in a durable fashion. It’s important to share and spread knowledge. Research, even in progress, has to be shared so we can really work together. Research is not a competition! I also discovered some really interesting platforms like Zenodo, Allgo or Software Heritage, which are essential tools in open science, and should be widely used by everyone. I will attend as many Brainhack events as I can, to keep learning from exchange with other researchers, share knowledge and work with different people with different skills on interesting projects. 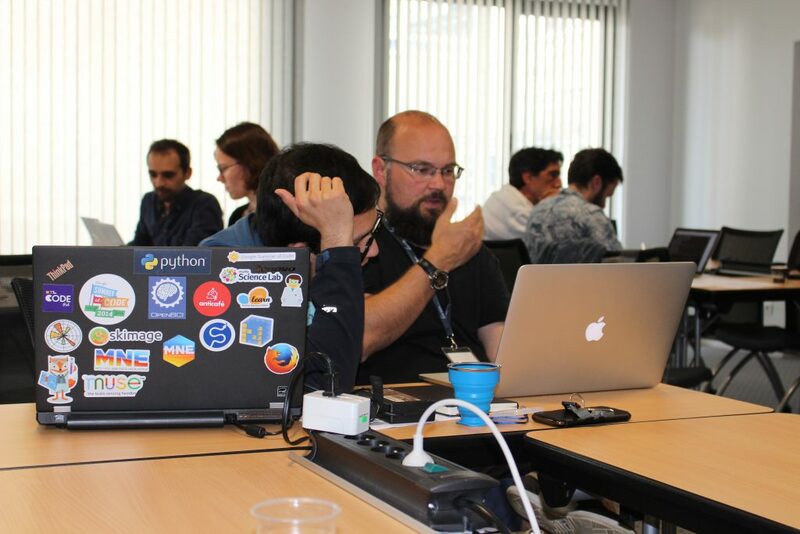 And I will probably again be part of the Brainhack Global event if we host one again in Rennes! Otherwise I will be happy to help from Rennes if something is being organised around (in Nantes or Caen). Organising a Brainhack keeps you busy for a while, but it is worth it! Lots of discovering, learning and meeting passionate people! So, don’t hesitate to organise one at your institute, or ask us for some advice. Join the Brainhack community! Brainhack hackathons are organised all year round in many places around the globe. Register on the Brainhack slack to discuss open science in neuroimaging with a diverse and welcoming community.